Vampires are typically envisioned as static creatures, holding sway over mortals for centuries from the comfort of a grand manor castle. 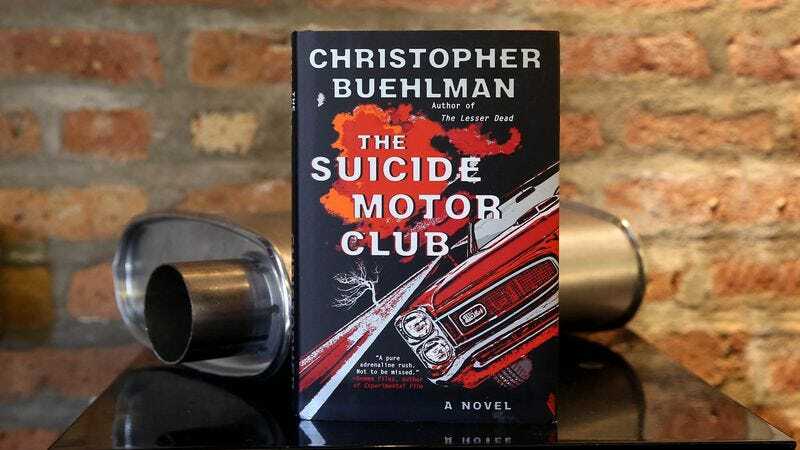 Christopher Buehlman’s latest novel, The Suicide Motor Club, takes the undead out of the realm of gothic horror stories and turns them into the stuff of urban legend, monsters that crisscross America’s highways, drinking blood and ruining lives. The Suicide Motor Club is set in the same world as Buehlman’s The Lesser Dead, building on the rich vampire mythology he developed in the previous book without directly linking the plots. It’s structurally similar to his debut, Those Across The River, a period piece that explores how normal people react to encounters with the supernatural. But where Those Across The River was an examination of superstition and desperation, The Suicide Motor Club paints a brighter picture about how courage and genuine goodness can overcome powerful evil. Set in the late ’60s, the novel primarily follows Judith, a tough young mother who loses her young son and husband to a vampire attack. No one will believe her story about a car driven by monsters snatching her child and running her off the road. So she seeks solace by joining a convent where she is eventually recruited to join The Bereaved, a group of vampire hunters driven by devastating personal brushes with the undead. Reminiscent of Kathryn Bigelow’s Near Dark or Scott Snyder’s American Vampire, The Suicide Motor Club is devoted to a particularly low-class kind of vampire. Nixon, the group’s leader, was a moonshiner turned corrupt dirt racer, who took money for running star drivers off the track. He dispenses the story of his mortal life and how he became a vampire liberally, monologuing in a Southern drawl as he watches someone die multiple times over the course of the book. Buehlman knows how to write a compelling monster, offering just enough depth to the vampires to make them intriguing, if not likable. Highlights include the strange power dynamics between Nixon and his second-in-command Cole, and Calcutta, who still calls her aging mother regularly, even though she won’t use her chosen vampire name. Most intriguing is Clayton, an older vampire who hitchhikes across America drinking only what he needs. His disappointment with the behavior of his younger brethren is highly entertaining, most notably when he tries to impress them with his experience by noting that he’d met John Quincy Adams, only for them to fail to recognize the president’s name. Also delightful are his too-formal speech patterns, developed during an earlier era, which manifest even when he’s taking to himself in passages such as: “‘Resolved,’ he said. ‘That I shall charm this creature into forgetfulness. Failing that I shall… take up the question again.’” While Clayton becomes a sort of ally to Judith, Buehlman avoids the trap of making him a purely good vampire. The result is far more satisfying as Clayton offers the more traditional vampiric charms and temptations, sparring with Judith about her faith while attempting to seduce her to find a different end to her quest. Judith makes a good match for him, a compelling protagonist who moves fluidly between faith, vengeance, and fear. The strength of those characters makes the weaknesses of the rest of The Bereaved all the more pronounced. Members of the group don’t want to share personal information about themselves that a captured member could give to a vampire, but the result is that they all feel disposable. Other than a few fun characters, like a monk who believes his meditative training will protect him from vampire mind control, they’re a pretty bland lot. On the bad-guy side, vampire Rob earns Judith’s particular enmity for being the one to wrest her child from the car, but beyond that early scene he never does much to earn his special status. But since the plot speeds along as fast as the sports cars Buehlman lovingly describes, the novel easily breezes by those weaknesses. The end of the ’60s—when the dream of free love was giving way to the nightmare of Vietnam—proves the perfect setting for a tale about creatures that persuade people to let them in and then reward that trust by killing them or forcing them to commit heinous acts. The geographically rambling story is thick with glimpses of Americana, most strikingly an abandoned motel and amusement park that serves as the setting for some of the story’s most harrowing scenes. 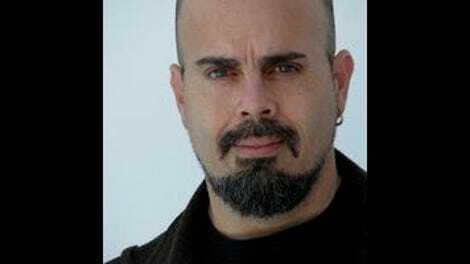 Such a high-velocity story could easily come to a screeching halt after its fiery climax, but Buehlman shows the same talent for writing a haunting ending he demonstrated in Those Across The River. He slows down just enough in the book’s final pages to provide a deeply satisfying conclusion that hints at stories yet to be told.